Supply Chain Areas: Supply Chain Analytics. An example of how supply chain analytics has been utilised for creating a stable plan by applying production wheel planning. An in-depth case study sheet is also available for download here. Despite having relatively predictable demand and high inventories, this industrial manufacturer still suffered occasional shortages of items and had to change production plans and schedules constantly in order to maintain service levels. Operating costs were unnecessarily high and the day-to-day running of the supply chain was absorbing a disproportionate amount of management time due to fire-fighting. The SupplyVue analytics tool was used to capture the supply chain transactional and planning data to understand the context and run an analysis of the current supply chain performance. The diagnostic process revealed opportunities to stabilise the demand signal onto the factory by making use of the stable weekly demand patterns and synchronising the supply chain to this cycle. Using SupplyVue the team reviewed the production sequence, using the line changeover matrix to identify the lowest cost manufacturing sequence. Using this ideal sequence, SupplyVue used production wheel methodology to create an ideal 16-week production plan. 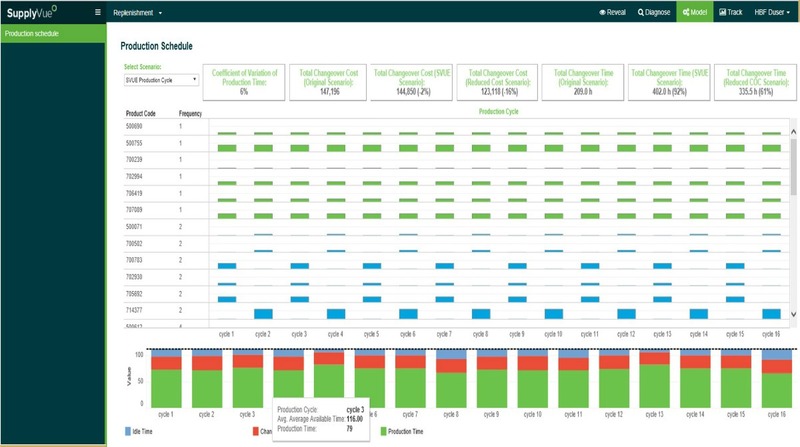 Production plan scenarios were generated and evaluated using the capacity and cost inventory impact analysis dashboards. The trade-offs between manufacturing cost and inventory levels, and between levelling capacity and inventory levels were analysed, enabling the management team to decide on the production policies that most aligned to their business objectives. 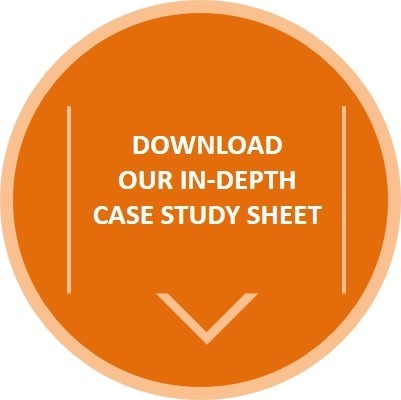 For more information on how SupplyVue was applied to stabilise the production plan, download our detailed Case Study Sheet here. More examples of applying SupplyVue to optimise supply chain performance are available here. Lear more and request the Enchange Digtal Supply Chain Assessment here. Learn more about our supply chain analytics services here. For further information on SupplyVue download the brochure here. Yes, sign me up now.